Eat High Life Decoded: What's the Deal with Ancient Grains? 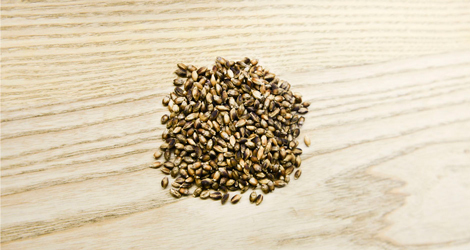 High Life Decoded: What's the Deal with Ancient Grains? Glenn Roberts of Anson Mills and Pamela Yung of Semilla demystify the misunderstood world of spelt, quinoa, and more. You know the type: cross-fit junkie, kale juicer, Paleo-diet adopter—and now—ancient-grain consumer. Spelt, millet, and buckwheat are now buzzwords on par with bone-brothing and macrobiotic foods. But what the hell are they? Generally speaking, ancient grains are an un-processed form of whole grains that cultures across the globe have been harvesting and eating for centuries. They are often healthier than modern wheat, which has been chemically engineered, thus compromising its flavor. 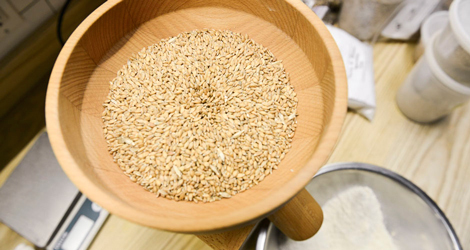 Ancient grains have also captured the attention of chefs across the country, moving away from health-food store purchases and into high-end kitchens and bakeries. Chad Robertson’s Tartine Book No. 3: Modern Ancient Classic Whole contributed to the trend, showing readers modern uses of whole grains in bread-making. There are plenty of misconceptions about the ancient grains category, which the media have turned into a code-word for healthy living. Cheerios has already jumped on the bandwagon, releasing an ancient grains cereal with spelt and kamut. To help reveal the sneaky motives of modern agriculture and illustrate the benefits behind ancient grains, we asked Roberts to cut through the noise and give us the raw deal. The term “ancient grains” has complex origins and is a phrase abused by PR firms. Roberts says: It’s a totally imprecise term in popular culture. At the very minimum, it refers to pre-industrial whole grains that are considered to be the staple cereal foundations of the continents. This includes things like einkorn, emmer, spelt (which is a grass), millet, sorghum, and quinoa. Buckwheat could fall under this category, even though it’s actually a fruit. But a lot of the time the most important idea, provenance, is lost in the mix. Cheerios is going to release a cereal with “ancient grains.” But the idea won’t be meaningful; it will be “industrial ancient grains,” which is the highest form of dichotomy in modern agriculture. It’s a similar concept to wine grapes: einkorn, for instance, can grow anywhere, but they change flavor according to the location and season. The flavor of the ground has a much different story, and you have to respect and acknowledge that. Modern farming degenerates gluten to a form that is unhealthy for humans. Roberts says: There’s actually gluten in ancient grains, too, especially any related to wheat flours. Rye, wheat, emmer, and einkorn all have it, so celiacs can’t get near it. But people who simply shy away from gluten should consider this: Modern farming focuses on yield and metrics. They water down the wheat kernels and use tons of chemical fertilizers to produce a massive yield. It’s all about the creation of a super-high protein flour that will react quickly when used in baking. According to science in the European Union, the resultant gluten structure is not optimum for human health. In fact, the data says the gluten structure of wheat flour from ancient wheat makes those gluten sensitive individuals have no or much less of a reaction. But in America, the the Department of Health doesn’t recognize that research. Most modern wheat is flavorless. Roberts says: Older grains and ancient grains actually have a broader profile, essentially in the form of flavor aminos. That’s known science, period. To put it lightly, modern wheat was bred away from flavor; it wasn’t an attribute we thought we needed. We wanted high yield for acre agronomics. And we wanted baking quality, which requires the breeding of high-performance wheat. I find that the flavor of these wonderful, old grains is much more remarkable and compelling than anything new. Modern wheat is industrially processed, oxidized, and pretty much dead. They don’t sell it for flavor, they sell it for performance. More flavor increases nutritional value. Roberts says: One of the things that’s proven science in the European Union that’s not recognized yet in America is that flavor equals nutrition, especially in ancient grains. We need all the minerals in the flour, because they’re actually good for you. Those are called vitamins. Think of it this way: If you’re foraging for food, you’re going to look for flavor, which indicates nutrition. It’s a primordial exercise that we’ve largely been ignoring. Prior to the Industrial Revolution, all farmers were matching flavor and nutrition. Farro: A light brown grain often used in Italian cooking. Restaurants like Bestia and Chez Panisse feature farro in salads. Einkorn: A primitive type of wheat. Yung uses einkorn in shortbreads; the wheat berries can be tossed in salads, too. Spelt: Often used as a substitute for rice and pasta, spelt was a common grain used in the Bronze Age. Quinoa: A richer alternative to couscous, quinoa seeds hail from South America.